ST. GEORGE – While East Elementary will soon cease to function under the auspices of the Washington County School District, the facility’s legacy of education will continue with a new name and a new purpose under Dixie State University. It was announced at the “St. George Area Economic Summit” last week that the old elementary school will be named “Innovation Plaza” and will play a role in Dixie State’s goal to produce a skilled regional work force while also helping to develop a strong regional economy. “We need to focus on technology, business, engineering, applied sciences and health sciences,” Dr. Michael Lacourse, Dixie State’s provost, said while sharing the university’s future plans at last week’s economic summit. Of over 4,700 colleges and universities in the nation, only 32 are focused on technology or are polytechnic in nature. None of those type of schools exist between Los Angeles and Salt Lake City, according to Dixie State University, so it is Dixie State’s goal to fill that gap. “Our direction: a polytechnic-themed academic program,” Lacourse said. While students will continue to learn in the classroom, Dixie State is also promoting “active learning” through potential internships and other programs created through its public and private partnerships in the community. Dixie State has been doing this, DSU President Richard Williams said while at the summit Thursday. The university has engaged with public and private entities to identify deficiencies in the regional work force. As this was done, it helped Dixie State officials know what programs and degrees to offer and promote, Williams said. The new Innovation Plaza will be a resource center for student and community entrepreneurs and innovators, Williams said. “We are going to open a space where the private sector can come in with the public sector and we can create new things (and where) entrepreneurs can have resources,” he said. Center for Technology, Innovation and Entrepreneurship. Dixie Innovation and Guidance Support Program. Dixie Institute for Research and Technology. Success Academy (focusing on engineering and computer science). These programs are not limited to Dixie State use alone, Lacourse said, and are open to the public. The plaza itself will be open 24 hours a day, seven days a week. In the last four months, Lacourse said, the university’s Dixie Innovation and Guidance Support Program has produced nine new patents pending or as imminent submissions. Many more are in their early stages of development. Directing the program is retired dental surgeon Dr. Wayne Provost, a Utah native who has founded and owned 11 businesses in addition to having multiple pending patents and patents, including ones for the resealable box tops, dental fiber optics, illuminated infusion lines and medical software. For the last 40 years, he has helped others turn their ideas into businesses and now continues to do so at Dixie State as he helps students and residents develop their ideas and creations from concept to patent and/or business propositions. 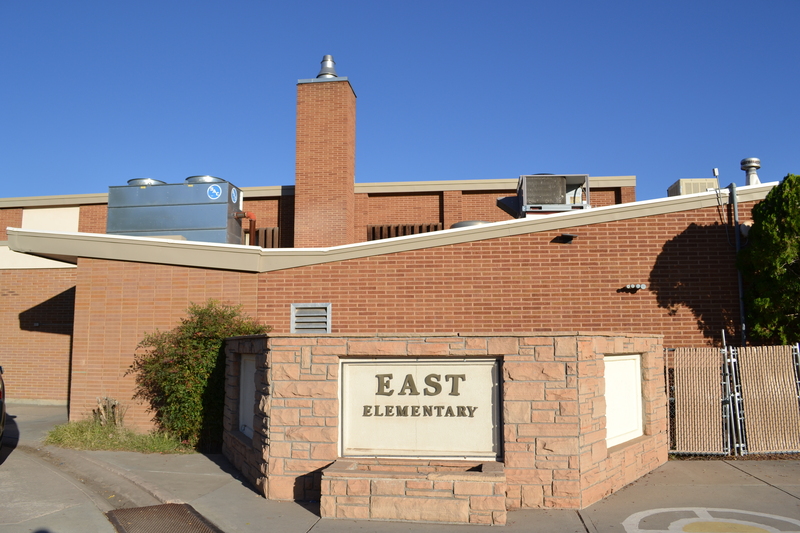 East Elementary was sold to Dixie State University as part of a three-way deal between itself, the Washington County School District and the city of St. George. The city and school district gained a new elementary school in the heart of downtown St. George – located on 100 South on the east side of the Dixie Sunbowl – while the university gained a much-needed expansion to its campus.